Today’s Guest: Tony Doris, Palm Beach Post reporter and author of the novel Dirt. Watch this exclusive Mr. Media interview with Tony Doris, Palm Beach Post reporter and author of the novel Dirt, by clicking on the video player above! 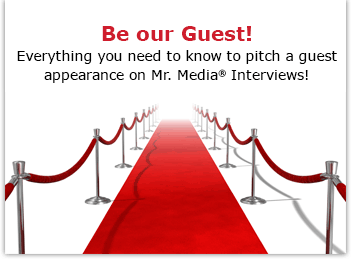 Mr. Media is recorded live before a studio audience of Miami realtors, politicians and journalists worried that any similarities between themselves and characters in Dirt by Tony Doris may not be blurred enough to hide their actual misdeeds and knucklehead-on-a-stick-iness… in the NEW new media capital of the world… St. Petersburg, Florida! Hundreds of novelists have paraded through this show during the last eight years to promote their works of fiction. And many of them were first-timers. But Tony Doris is the only one I personally nudged to pull his first novel out of a dusty desk drawer and publish it. Not only that: Dirt is the first fictional property I published under the Mr. Media Books banner. Tony and I have been friends for almost 30 years and I have always thought he was a terrific writer. He sees the world through a lens with its filter askew, even when his work as a journalist took him through the most serious topics. His friends know he will always find the subtle humor in whatever he touched. So when he wrote his first novel during late nights and weekends while working his day job as a reporter and editor at the Palm Beach Post, I was frustrated that no traditional publisher bit at it. But in this day of ebooks, I didn’t believe a work as witty, insightful and clever as Dirt should stay in a drawer. So I cajoled my buddy to dust it off and let me publish it. If you like the work of Miami’s better known journalists-turned-novelists such as Carl Hiaasen and Dave Barry and even the late Elmore Leonard, I think you’ll dig Dirt. And if you’re a Miami politician or in the real estate or journalism business, you’ll probably encounter a lot of familiar people – I mean industry types – you will recognize.